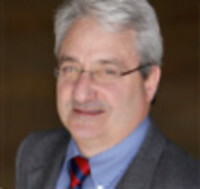 Dr. David Weiner is a world-renowned leader in immunology as well as gene vaccines and therapy. As a pioneer in the field of DNA vaccines, he has over 300 peer-reviewed publications in scientific journals to his credit, including publication in mainstream scientific journals such as Scientific American, and has been noted by the Institute for Scientific Information as one of the top cited scientists in the world. He was also the editor of several published works including: Biologically active Peptides: Design, Synthesis and Utilization, by David B. Weiner and William V. Willams; Vaccine Special Issue: DNA Vaccine Meeting 2010, DNA Vaccines - Vaccine Special Volume 2006; DNA Vaccines: Research Frontiers and Clinical Applications, Vaccine Special Volume 2004; and Expert Review of Vaccines: AIDS Vaccines, August 2004, among others. Dr. Weiner serves and has served as an advisor to and collaborator with leading companies such as Pfizer (Wyeth), 3M, J&J (Centocor), and GSK. He played a key role in the start-up of biotechnology companies such as Apollon (one of the world's first DNA vaccine companies), Synbiotics, Immune Pharmaceutics, Verigen, Symphony Pharmaceutics, and VGX Pharmaceuticals (currently known as Inovio Pharmaceuticals). He is a special employee and advisor for FDA/CBER and the NIH-NIAID-DAIDS Grant Review process.